Wellthily is a health and wellness company in Las Vegas, Nevada. Their mission is to change the meaning of wealth by inspiring people to lead happier and healthier lifestyles. We combined 3 different fonts that are modern, a bit feminine and very unique. 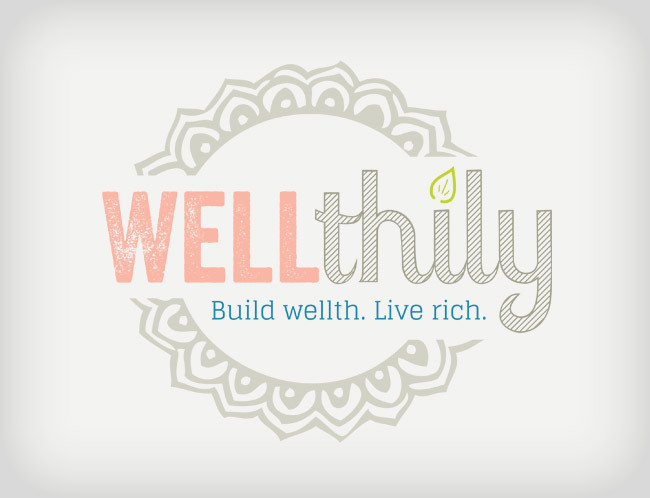 The name Wellthily combines “well” and “healthy” and we wanted the word “well” to stand out with it’s own font and color. The next part of the name, “thily” complements the first part of the name and adds a lot to the character of the design. The bright green leaf symbolizes everything that Wellthily stands for, youth, growth, sustainability, and health. The stamp around the logo also brings a lot of character and adds a great all-inclusive touch to bring it all together.